Straight but extensive rust through on outer panel. Rust starting to take hold on leading seam. 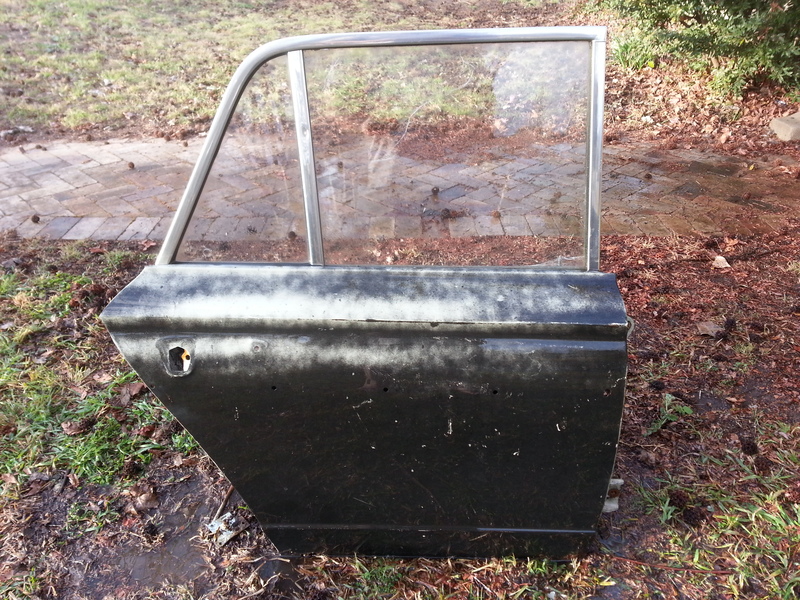 Repair this door with one of our lower section rust repair panels and treat the leading seam and you would have an excellent door. The stainless window frame trim is good.